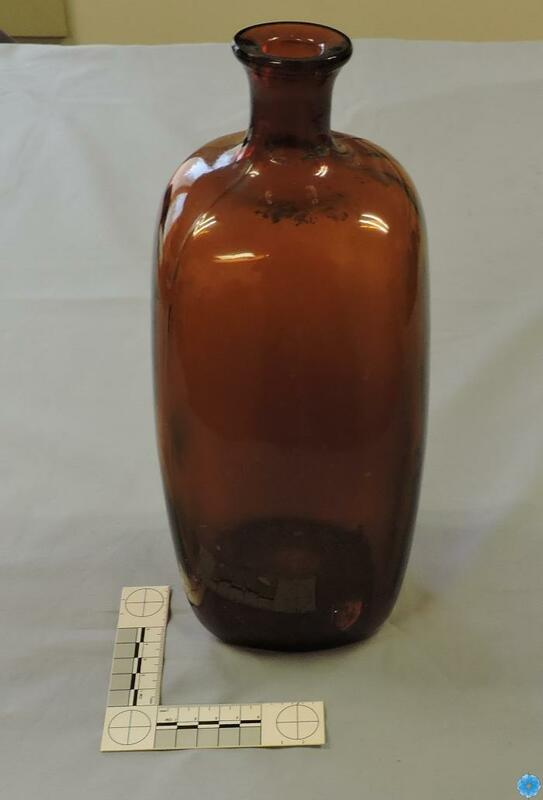 Description: Large glass bottle with short neck. Bottle has four sides. Was used to store medicine for animals. History of Use: Used by Vetrinarian Ed Brown from Wallace Bay.